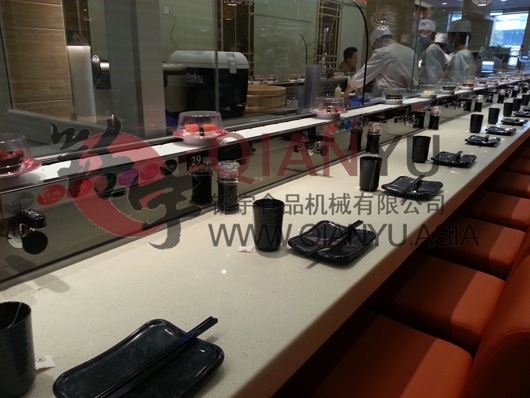 Fashional Sushi Conveyor Belt the whole machine is stable and reliable, safe, hygienic, low noise and beautiful appearance. The imported products are used for motor and control components.Environmental sushi conveyor belt made of white nylon chain for slewing equipment.Materials are made of black steel with flexible layout.Automation Rotary Sushi Conveyor Belt is 235mm, the length of the Monorail Rotary Sushi Conveyor Belt can be designed according to customer requirements. Reminder: To place an operation of the conveyor belt, the width of the storefront should not be less than 6 meters. Looking for ideal Sushi Nylon Belt Chain Conveyor Manufacturer & supplier ? We have a wide selection at great prices to help you get creative. 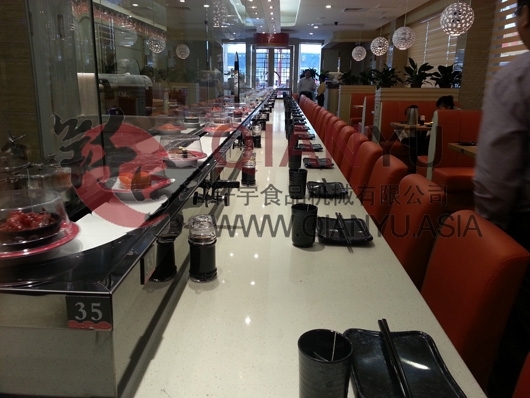 All the High Stablity Automatic Sushi Conveyor Belt are quality guaranteed. 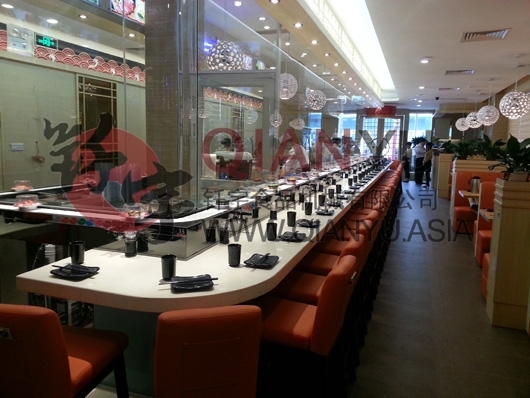 We are China Origin Factory of Sushi Conveyor Belt For Line. If you have any question, please feel free to contact us.